Please come for the BACnet User Group meeting on May 2nd, 2019 in Donohue's Bar and Grill in Watertown, MA. The purpose of the BACnet User Group is to bring together the local BACnet user community twice a year to share tips, techniques and pains on the use of the BACnet products and technologies. Please forward this email to anyone who might benefit from our meetings. 5.00 pm - 6.00 pm - Dinner and networking. Dinner is provided by BACnet international. There is a cash bar for drinks. 6.00 pm - 8.00 pm - BACnet presentations & discussions. Senior Engineer at FMC Technologies Inc., Owner Building Systems LLC. Topic: "A look at BACnet on the public internet." - Alex had an ongoing project tracking the BACnet systems on the public internet since July 2018. He will talk about why this is a bad idea, who is currently scanning for these systems, how many are exposed and what he has seen on his own honeypot. Alex started in the commercial controls industry as an installer in 1997. Over the years he moved to managing installations to project management. He has implemented all aspects of a project from beginning to end, including design, programming, startup and customer training. Currently he has been overseeing a multi-year renovation of a large research facility while developing in-house standards and training programs for FMC Technologies Inc.
During his time in controls he has designed and programmed systems for atriums to Zamboni surfaces across North America. ASHRAE member, certified with multiple control systems and owner of Building Systems LLC. Topic: "Utilizing BACnet As The Integration Platform for Connecting HVAC Controls to a SCADA system"
Albireo Energy has been deeply focused on providing HVAC controls in validated manufacturing and research facilities. Customers in these environments like to use SCADA systems both for process automation and HVAC automation and monitoring. In order to help these customers achieve their goal of leveraging their SCADA system HMI, while managing the total system costs, Albireo Energy has developed deep expertise in using BACnet to seamlessly combine these two types of systems. Dave Gallagher and George West from Albireo Energy will share the obstacles that they had to overcome as well as the benefits that this approach presents. If you haven't discovered our website or subscribed to the User Group forum yet, please do so! You can also see the updates on our website. Dinner will be served courtesy of BACnet International! We had a great event on November 1st. Thank you Boston University for hosting us!! Topic: "New Technologies for securing BACnet systems". With the increased likelihood of cyber attacks on critical infrastructure, including buildings, it is increasingly important to secure automation networks. BACnet Secure Connect (BACnet/SC) is a forthcoming networking option that will secure BACnet communication on TCP/IP networks using standard IT technologies that are used in critical applications such as online banking. At this event Jim Butler of Cimetrics, convener of the BACnet committee’s IT working group, will describe how BACnet/SC is expected to be applied, and compare it to BACnet/IP. Cimetrics has been working with BAS manufacturers on BACnet network security for almost 10 years within the BACnet committee, and now BACnet/SC is in public review. You are invited to our free BACnet New England user group meeting supported by BACnet International on November 1, 2018 at Center for Integrated Life Sciences & Engineering at Boston University. The meeting will be held at the Center for Integrated Life Sciences & Engineering (CILSE) at Boston University. President & Managing Director of BACnet International Andy McMillan. Topic: "Facts, Figures and Futures from the World of BACnet Testing." Andy McMillan is President of BACnet International, where he works with users and suppliers to expand and enhance the BACnet community. Formerly he served as President and General Manager of a building automation unit of Philips Lighting. McMillan's background includes broad open systems industry development and marketing experience, as well as strong technical knowledge of distributed automation and information management systems. McMillan has co-founded several companies and has been a featured speaker on open systems and automation at conferences in North America, Europe, Japan and Australia. McMillan co-authored a book on open systems networking and holds a dozen patents in sensors, automation and software. He has MBA and BSEE degrees from the University of Michigan and is a member of ASHRAE, AEE, IEEE. 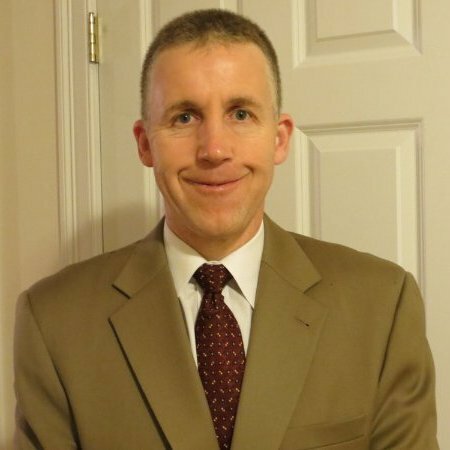 Mr. Butler manages the technology development organization and the products business at Cimetrics. 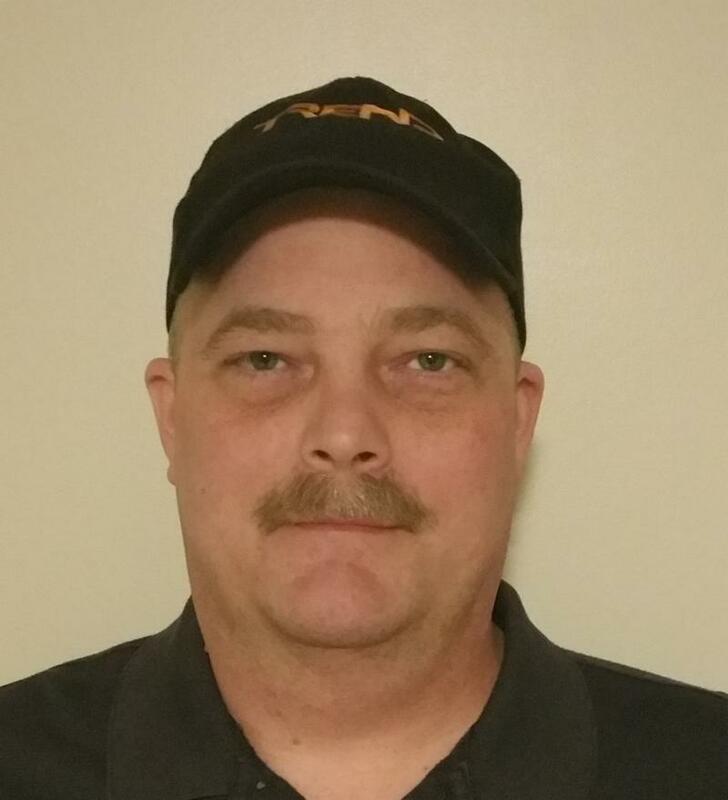 He has been with the Company for more than 20 years. Mr. Butler has been an innovator in embedded networking technology for building automation. 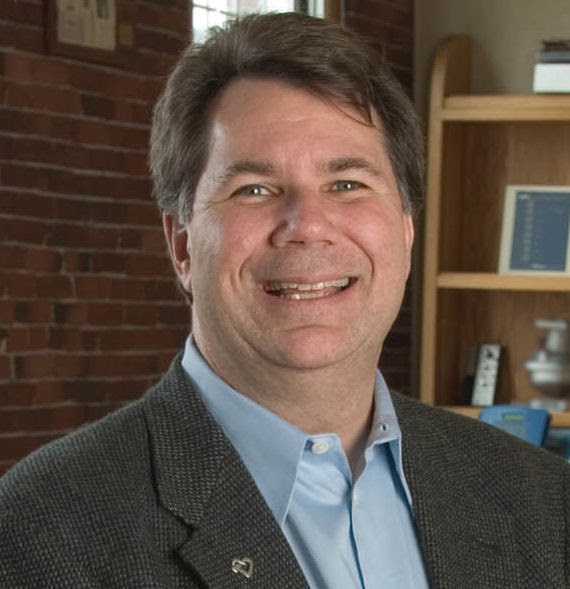 He has been a significant contributor to the design of the BACnet network protocol (ASHRAE Standard 135), the BACnet test standard (ASHRAE Standard 135.1), and the Facility Smart Grid Information Model (ASHRAE/NEMA Standard 201). In 2000, Mr. Butler established the BACnet Testing Laboratories for the BACnet Manufacturers Association (now BACnet International), and managed its product testing program for six years. Mr. Butler received B.S. and M.S. degrees in Aeronautics & Astronautics from the Massachusetts Institute of Technology. New England BACnet User Group had a great session at Schneider Electric. Along with presentations we had the tour of the lab with Mike from Schneider. Thank you Schneider Electric and especially Scott Lurvey - for hosting us! Duffy O'Craven - BACnet Testing Laboratories manager - IoT Affects BACnet How? You are invited to our free BACnet New England user group meeting supported by BACnet International on April 12, 2018 at Schneider Electric in Andover MA. 5 pm - 6.00 pm - Networking at Characters Bar: Hilton Double Tree 123 Old Andover Rd Andover, MA 10810. Arrive early enough to enjoy this networking opportunity with your colleagues. Remember, it's a cash bar. It is couple of minutes from the Schneider office. The meeting will be held at the Boston One Campus, 800 Federal St, Andover, MA 01810. The BTL manager Duffy O'Craven. 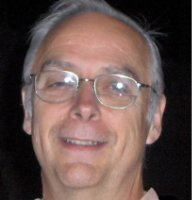 Thirty six years into a programming career, Duffy O'Craven still loves to make computers work better for people. He is a member of the SSPC 135 committee, oversees the world-wide BTL Testing program, and works regardless of the boundaries separating one day from the next, on seeing BACnet thrive. He has worked at several companies. At each they continuously shipped new and improved products, delighted customers, and multiplied sales. At each company where he has worked, he advanced to team leader or group leader positions. He is proud of the products that he has produced, among them: Tech Graphics workstation, AT&T Safari notebook, DragonDictate for Windows v1.3, Naturally Mobile Organizer v1.0, Cimetrics BACnet Explorer, BACtiveX script component. Topic: "5 benefits of having BACnet data in the cloud and how it impacts customers". BACnet continues to evolve as the preeminent building automation and control protocol. The next step - getting BACnet data out of the building and into the cloud. In this session, Sierra Monitor Corp will talk about 5 benefits of having BACnet data in the cloud and discuss how this has impacted their customers. For nearly 30 years, Charlie has been successfully defining and launching data networking products into industrial and commercial facilities. The last 13 years he has been with Sierra Monitor, a leading provider of IIoT gateways, building the company's direct-to-OEM business. Sierra Monitor has successfully integrated with more than 230 OEMs worldwide, providing BACnet BTL certified gateways to support their evolving building automation needs. With the advent of cloud technologies, Charlie realized that SMC customers need to be better connected to their devices in the field. He helped the company introduce their SMC Cloud Platform, a complete turnkey cloud solution that cost effectively and securely brings the data to the people that need it - regardless of location. With nearly three decades of experience in networking and building automation, Charlie is truly an expert in this market. New England BACnet User Group had a great session at Boston University. Again, it was the biggest meetings with new attendees. Along with presentations we had the tour of the building with Pete Howard from Cimetrics. Thank you Elijah Ercolino - Director of Building Automation Systems at BU and Daniel Quigley - Building Automation System (BAS) Manager at BU for hosting us! You can park at 700 Commonwealth Avenue - Warren tower. The cost is $10 with a validation. Our free BACnet New England user group meeting supported by BACnet International is a week from now - on November 7, 2017 at Boston University. The purpose of the BACnet User Group is to bring together the local BACnet user community twice a year to share tips, techniques and pains on the use of the BACnet products and technologies. The meeting will be held at the Center for Integrated Life Sciences & Engineering. This $150 million, nine-story, state-of-the-art research facility brings together life scientists, engineers, and physicians from the Medical and Charles River Campuses. The 170,000-square-foot building includes neuroscience research, systems/synthetic biology research, a satellite vivarium, and a cognitive neuroimaging center. We will have a tour of the building and a brief lecture about BU's BACnet experience. You can park at 700 Commonwealth Avenue - Warren tower; the cost is $10 with validation. You can also park on the street (metered), or you can walk from the Kenmore or Blandford Street stations on the MBTA Green Line. As a Fellow and Life Member of the American Society of Heating, Refrigerating and Air-Conditioning Engineers, Mike has served on the Research and Technical Committee that supervised the Society's research program and its technical committees; was an officer of TC 1.4, the technical committee on control theory and application; was the chairman of Standard Project Committee 135P which developed the BACnet® building automation and control network communication protocol and was chairman of the follow-on Standing Standard Project Committee, SSPC 135, responsible for interpreting and extending BACnet, up until July 2000. In June of 2003 he received ASHRAE's Standards Achievement Award and in 2010 its Distinguished Service Award. Dinner and drinks will be served courtesy of BACnet International! New England BACnet User Group had a great session on March 30, 2017, at PTC offices in Needham. Again, it was one of the biggest meetings with new attendees. Along with presentations we had demos from PTC. Thank you Glen Marquis and MIke Leathem for hosting us! We plan our next meeting in Autumn - please join us! Here is an agenda for our upcoming Thursday meeting. If you haven't registered you can still do it our site. 5 pm - 5.30 pm - Registration and Networking - Main Lobby & CXC Lobby. Come into the PTC lobby, get your badge from the security desk, and walk up to the customer experience center lobby. Please don't forget your ID! 5.30 pm - 6.30 pm - Dinner provided by BACnet International at the CX-E room. 7.15 pm - 9 pm - BACnet Presentations & Discussions - CXC Room E.
If you haven't discovered our website or subscribed to the User Group forum yet, please do so! Mark your calendar - our next User Group session is on March 30, 2017 at 140 Kendrick St, Needham, MA 02494! Please register here. "VRF and BACnet - what are their similarities and differences. How they work together." 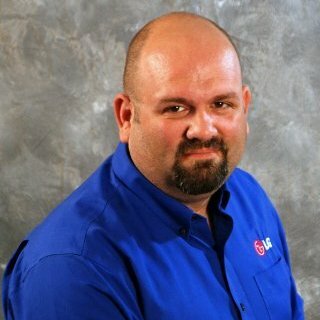 Gabriel is a Field Control Specialist at LG where he has a great controls knowledge working with nearly every major controls manufacturer in the US. His responsibility is field warranty support for the V-NET Controls product line. He also assists with training and education materials as well as development of future products. He has successfully integrated LG's BACnet gateway with Siemens, Honeywell, Schnieder, Johnson Controls, Automated Logic, Delta Controls, Reliable Controls, Crestron, KMC, and Alerton products. He has previously worked as a Systems Technician at Johnson Controls and was an in-house fire and security controls technician for the Federal Reserve Bank of Atlanta. "Beyond BACnet: Tying BACnet Systems with Non-BACnet and IOT Platforms." Mike Leathem is Senior Applications Engineer, as part of the Product Management team at the PTC Portland Office (previously Kepware). Mike has been in this role for 2 years, working with customers, internal development teams and channel partners to identify product requirements, manage the development backlog and guide product releases. This has included significant work on the BACnet driver. Prior to working at Kepware Mike has had a diverse engineering career doing hardware product development for Scientific Instruments and GPS devices, as well as manufacturing work in technical ceramics and microelectronics. Mike has a BS in Electrical Engineering from Syracuse and an MS in Microelectronics from RIT. When he isn’t working as an engineer, Mike can be found playing in the White Mountains. 5 pm - 6.30 pm - Networking with a cash bar at the Character's Sports Bar near the event place. Double Tree Hotel 123 Old River Road, Andover, Massachusetts, 01810. As you get off the Rt 93 exit, you would just turn left at the stop light to go to the hotel, rather than turning right to come to the office. 6.30 pm - 7 pm - Dinner provided by BACnet International at the event place. 7 pm - 9 pm - presentations and discussions. Dinner and non-alcohol drinks will be served! "The BACnet Institute and its associated educational content and its forums" with a live demo! "BACnet integration challenges with real life examples from the job sites". With following discussion based on the presentations. Larry is recognized by every Siemens Industry employee in the New England region to be THE expert on everything related to the Building Technologies product line ranging from end devices to BACnet network technology and complex integration with other products. He provides Siemens Apogee Automation product technical support and is a local expert for support of sales, operations and service. He develops and implements integration solutions: BACnet, OPC, Modbus and Lon Works. BACnet Questions/Answers session with BACnet guru Jim Butler. New England BACnet User Group had a great session on April 6, 2016 at Siemens offices in Canton. We had great presentations from Albert Putnam, Cimetrics who shared his experiences with BACnet at large sites. And Amy McMahon, Automated Logic who talked about lessons learned from BACnet Integration challenges. We also had a very productive discussion. If you are in the area please join our next session. "End User Framework for Large BACnet Sites"
Albert will share his experiences with BACnet at large sites. He will consider various scenarios with a view to levels of compliance and architectural robustness. He will suggest who should be involved in creating a framework, what the high and low level issues are. He will also discuss central concepts such as consistency and scalability within large BACnet sites. "A view from the field office"
Amy McMahon has worked in the controls industry for the last 25 years. She started out her career in the telecommunications field. Working for Tennessee Gas Pipeline Company, she installed SCADA systems on the natural gas pipeline across the North East. She moved into high speed production controls and has worked with most of the major PLC brands. For the last 10 years she has been working in the building controls world with Automated Logic Corporation. She has extensive experience at the field level of integrating third party systems with the building management system, Webctrl. Built on a BACnet backbone, Automated Logic systems and services integrate the strengths of multiple subsystems to provide custom solutions that supports current energy savings and comfort objectives. Working daily with a native BACnet system has provided her with a front line view of the BACnet world. Amy has a passion for customer service and enjoys developing both technical solutions and long-term relationships with her customers. She has achieved LEED BD&C credentials, and is currently pursuing her MBA degree at Northeastern University. We are happy to announce that our next BACnet User Group NE meeting organized by BACnet International, Siemens and Cimetrics will be on April 6, 2016 in Siemens office at 85 John Road - Unit 1 Canton, MA 02021. Please attend our meetings - I will send invitation shortly when we know the second presenter. We are looking for the presenters!!!! Any BACnet topic, integration challenges you have encountered or any questions related to BACnet - please volunteer to talk. The goal is to share the knowledge, share the best practices it is a very friendly atmosphere and the presentation length is 30 min. One of the presenters at this meeting will be Andy McMillian - president for the BACnet International. He will talk about the BACnet Institute and its associated educational content and its forums. The event is free including dinner - please forward this information to anyone who you think would benefit from attending our user group. Please write to Svetlana slyons@cimetrics.com if you are interested to be a speaker! Our last BACnet New England user group meeting was on September 17, 2015. It was held at Cimetrics right in the heart of Boston. At this event you will have an opportunity to meet with industry professionals, have your BACnet questions answered from the BACnet guru Jim Butler, share your experience and learn more about BACnet Integration. 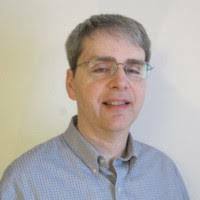 Scott Sitterly will talk about "BACnet then and BACnet now". Carl Slack and Scott Lurvey, will talk about BACnet integration challenges that they deal with in the field time and time again. We want to thank BACnet International who will sponsor food and refreshments. Scott Sitterly has been working with communications protocols for many years. During his 20 years at Digital Equipment Corp he was responsible for porting Internet Services to many hardware/OS platforms. During his years at Phoenix Controls he was working as the Software Engineering manager and Integrations Manager. He managed the implementation and testing of services for Modbus, LON and BACnet. As a Software Engineering Manager at Aircuity he managed the implementation and testing of services for BACnet communications at the customer site. This currently includes using an appliance loaded on a Tridium JACE. He also managed the implementation/testing of the services used to upload customer data to Aircuity's cloud, it's analysis and presentation to the customer in the forms of notifications, reports, dashblocks, and graphs. Carl Slack -Software Manager at Schneider Electric. Scott Lurvey - SQA Engineer, Senior Test Lead and BACnet Interoperability Test Specialist at Schneider Electric. Third user group meeting was on March 5, 2015 at Fraunhofer Living Laboratory - a product of the Building Technology Showcase, a collaboration of partners from leading building industry manufacturers and businesses who provided funding and donated energy-efficient systems, materials and services to the project. We had a very productive meeting on March 5. We have learned about Fraunhofer living laboratory, listened to Larry Stangel's (Siemens) speech about integration challenges he and Pete Howard (Siemens) face on a regular basis and Al Putnam's speech on BACnet and Internet of Things (IoT). Productive discussion and networking followed. We also had a great meal thanks to BACnet International!! Thank you very much for coming for all who attended the meeting and hope those who could not make it will make the next one. Thank you Siemens and Cimetrics for organizing and Fraunhofer for hosting us. Stay tuned for the next meeting!! Cimetrics, Siemens and Fraunhofer Living Laboratory are organizing a spring session of New England BACnet round table . The theme of this event is "BACnet Integration challenges and their resolutions"
5 pm- 5.15 pm - arrival. 5.15 - 5.45 - Kurt Roth - Fraunhofer Director, Building Energy Technology will give a talk - The Fraunhofer Center for Sustainable Energy Systems "Living Laboratory". 5.45 - 6.30 - food - networking. 6.30 - 8 pm - presentations and BACnet questions answered. First presentation will be given by Al Putnam - VP Tech operations at Cimetrics on Internet of Things and BACnet. 8 - 8.30 - additional discussion and networking. It is still time to register for the meeting here. As usual, BACnet International will sponsor food and refreshments. Direction and parking. More information about our last meeting in November, 2014. Cimetrics and Philips Color Kinetics had organized and hosted BACnet New England user group quarterly meeting in Burlington, MA. We had two meetings so far - first was in May, 2014 and second meeting was in November 19, 2014. The purpose of the BACnet User Group is to bring together the local BACnet user community on a quarterly basis to share tips, techniques and pains on the use of the BACnet products and technologies. The user group features BACnet experts from Cimetrics, including Jim Butler, and meter expert Albert Putnam and President of BACnet International Andy McMillan - read his interview on importance of building community of engineers and architects to facility managers and owners. November meeting was about BACnet Integration challenges and their resolutions. At this event we had two presenters from Cimetrics and Siemens talking about any problems they faced with BACnet integration at the job site. And then we had a discussion based on the presentations. As a presenter you will get a valuable feedback and get to share your story.